ICOS follows a two-pronged radiocarbon sampling strategy. To track long-term changes in the large-scale European atmospheric fossil fuel CO2 burden, two-weekly integrated samples are analyzed. These measurements are complemented by spot samples that allow to determine the fossil CO2 content of a specific air mass. 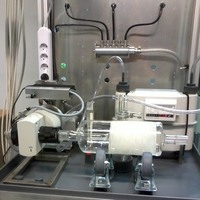 A large share of the integrated samples is analyzed using gas proportional counters. These conventional samples require a CO2 amount, which is contained in approximately 20 m3 air. The atmospheric CO2 is sampled by chemical absorption in CO2-free NaOH solution over the course of two weeks. CO2 absorption takes place in so called Raschig-tube samplers, which have been originally developed for atmospheric 14CO2 sampling in the 1970s (Levin et al., 1980). The samplers have proven very reliable and robust and are also used in the Heidelberg global 14CO2 sampling network (Levin et al., 2010). The CRL has the capacity of building four to six samplers per year for the ICOS atmospheric station network at cost-price. Requests should be made to Ingeborg Levin ☛. 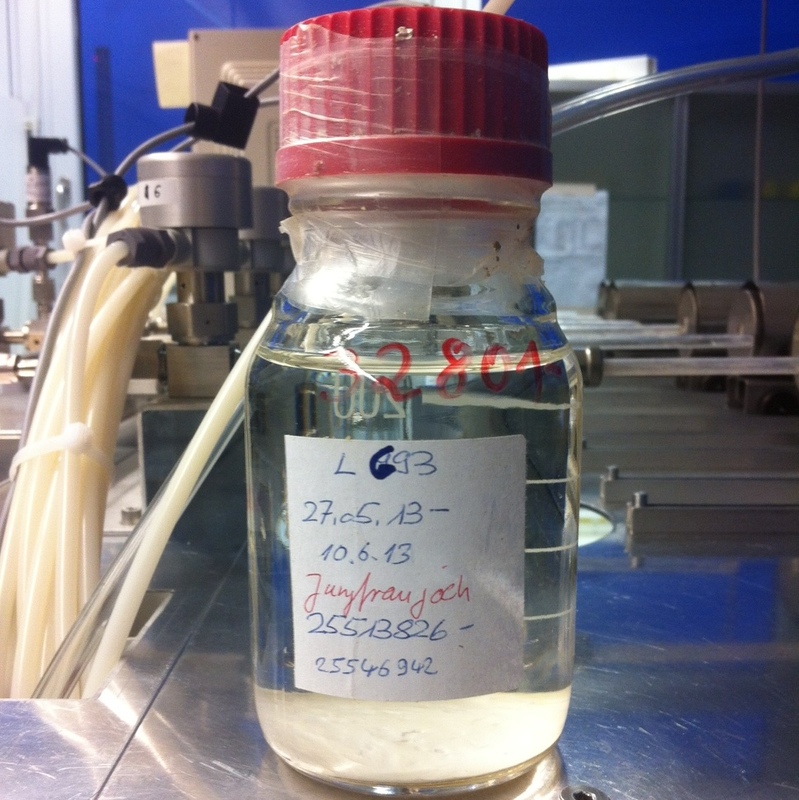 Low-volume integrated samplers for 14CO2 analysis by AMS are currently under development. 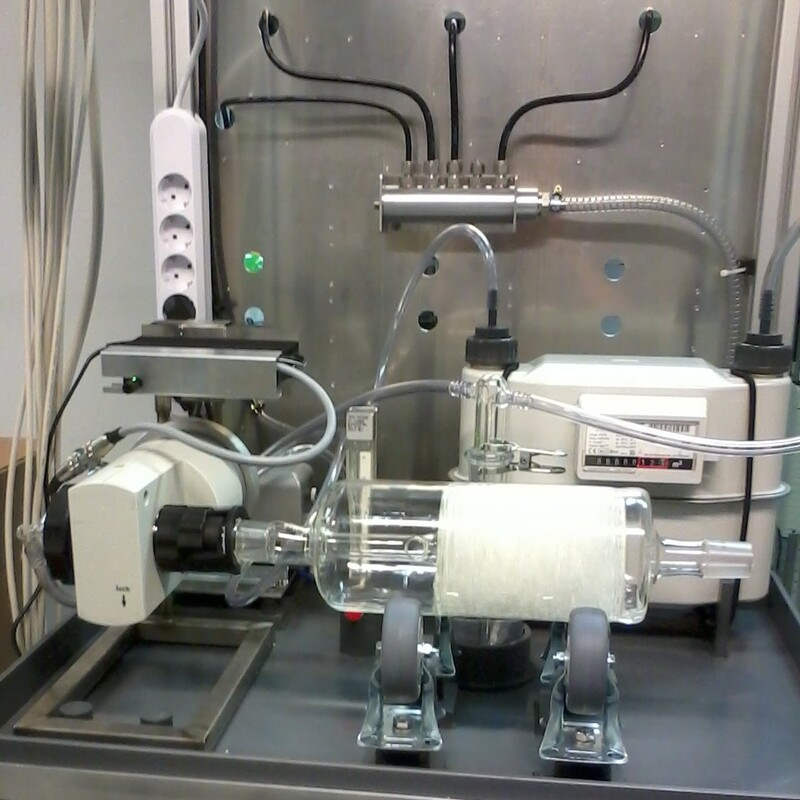 Collection of spot samples for 14CO2 analysis is performed with the automated ICOS flask sampler. The respective sampling strategy depends on the specific conditions at the sampling stations. The flask sampler is capable of allowing different sampling criteria and different sampling integration intervals ranging from 15 min to 40 or more hours. Apart from sampling at predefined time intervals, it is also possible to trigger flask sampling by in-situ analyzer signals or alternatively sampling can be initiated by actual or forecasted meteorological conditions.